Business - Marketing and advertising - Marketing and advertising. Starting at business number 1. South African businesses advertise for free. Register your South African toll free 0800, sharecall 0860 and alpha 0861 numbers here. Dial A Word: Get a Customised 0861, 0860 or 0800 telephone number. Get a customised easy to remember word telephone number (0861), toll free number (0800) or sharecall number (0860) for your business with Dial A Word. Increase advertising effectiveness with a word number / phone word. Opportunity to earn extra income for yourself, school, crèche or group by selling our products, as an agent of 2Create. Image and brand creation is an international advertising agency speciailising in branding and design. Marketing consultancy providing holistic marketing communications solutions to its clients, incorporating advertising, events, audio visual and public relations. A-Z Directory. The comprehensive business and internet directory for South-African businesses. Add your business listing for free. Actuate is a results driven internal marketing consultancy. Suppliers of innovative Sales & Marketing concepts and equipment. Web advertising and marketing - web designing, logo designing and tourism. Affordable Internet Advertising - Add your URL and/or Link. Pizza Ovens The little WONDER OVEN for your all round cooking enjoyment. Place your classified ad, find what you need. It is still free. Free small ads with images / Gratis klein advertensies met prentjies. 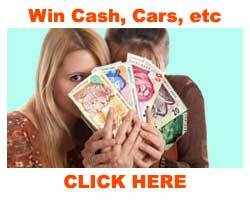 Cheap online advertising for businesses in South Africa. AdShack: Low cost advertising for businesses AdShack offers low cost advertising to businesses in South Africa. International advertisers welcome to join after 1st June 2007. A Pretoria based company that specialises in the supply of high quality promotional gifts and clothing. Media services and online shopping. Provide marketing consulting services to the communications industry. Adzone - marketing,marketing consultant,writing services,coaching services,motivational talks,facilitation services,coaching Adzone Consultants provide marketing consulting services to the communications industry. South African sign manufacturers of all types of sinage: illuminated signs, neon, fabricated letters, outdoor, cold cathode, pylon, design and installation. We regularly do business with all major media owners, assisting both advertisers and agencies in securing prime media space. Direct manufacturers of uniform & safari clothing to the lodge & tourism industries as well as corporate promotional clothing. All our mugs are printed in-house with our specialised inks and process to ensure that your message stays on the mug for an unlimited amount of time. A one stop creative solution for large / wide format digital printing, road signs, custom signs, system signs, out door advertising. AirMedia - Satellite Radio and Television AirMedia creates and broadcasts satellite radio, television and slideshow channels. Tailor-made Design solutions, quality printing and excellent customer service at cost-effective prices. View our online portfolio. Offers tailored online marketing solutions, search engine optimisation and PPC. Althea Oelofse & Associates - Brand and product characters, mascots, puppets, human caricatures, promotional campaign, educational, public awareness, roadshow, animator, animation, puppetry, television Althea Oelofse & Associates specialise in the manufacture of mascots, character costumes (used as marketing tools for products in advertising), road shows (to schools and consumer venues), puppets and human caricatures. We are mobile campaign speciaists offering mobile marketing, bulk sms, ivr, virtual airtime, mobile web and premium rated sms.